I took a bit of a hiatus, mostly unintentional, because I just haven’t had much time and all the races I signed up for I’ve had to abandon because of work. I’m really bummed about all three of these because they’re races I love (ATM was my first road race) or have wanted to do. Funnily enough, I’m only about two hours from Las Vegas right now but since it’s for work, no chance I could go run a marathon and then come back. It’s not all terrible though. 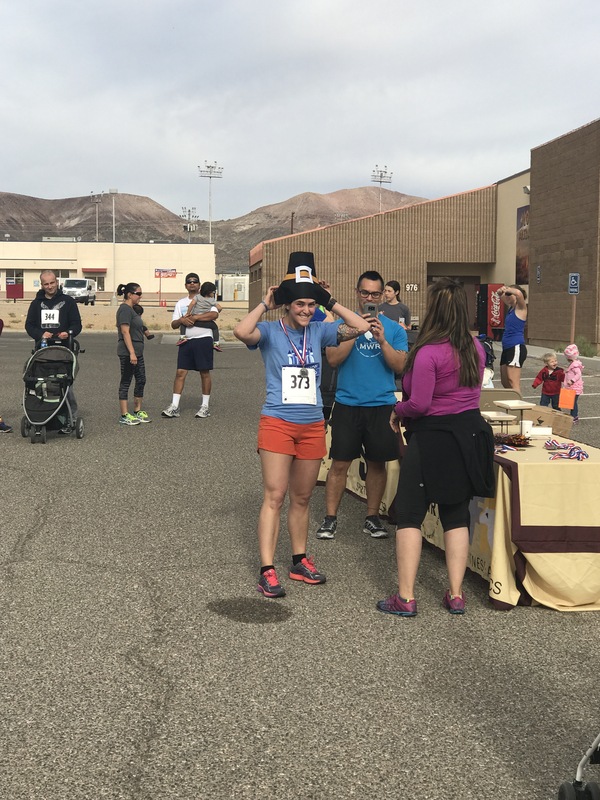 I’ve been readjusting to running in the extreme cold and I ran a fun run on Saturday that I took second place in overall for females. My favorite part was the cool pilgrim hat I got though. It doesn’t look like my work load is going to calm down any time soon, either. Instead of being sad that I can’t train for a conventional race, I’m going to take advantage of where I am and start training for a snowshoe race. Snowshoeing is a lot different than running in that you have to more careful about where you put your feet because now they’re wider and longer and you’re more prone to falling flat on your face.